When he first moved to Florida, he hated it. He didn't vote. Now he's trying to win a statewide office. When Jeremy Ring first moved to Florida from New York City, he hated it. He said so in the prologue in his 2017 memoir, We were Yahoo! But since he moved to Fort Lauderdale in 2001, Ring found a rekindled affinity for the state. He served Parkland as a state senator from 2006 to 2016 and is now running for statewide office: Chief Financial Officer of Florida. His opponent, Republican Jimmy Patronis currently holds the office after being appointed in 2017 by Gov. Rick Scott. Ring, a former Yahoo! advertising executive, left the young tech company in 2001 to become CEO of a firm in Fort Lauderdale. Back then, he was by no means interested in politics. He didn't even vote, he said. When he first moved to Florida, Ring was a young millionaire who was frustrated in his job as CEO of a start-up advertising agency. It didn't have the name recognition that his last job at Yahoo! did. He was being hounded and threatened in an extortion scheme. Ring's start in Florida may have been rough, but his eyes have been set on the cabinet position for about a decade. The CFO, considered the business manager for the state, oversees a variety of offices, mainly handling the state's finances, retirement fund and both the state's financial regulation and insurance commissioners. Ring, 48, was born in Canton, Mass. — an affluent suburb southwest of Boston — to a garment salesman father and homemaker mother. As a teenager, Ring said, he and his friends spent their free time throwing acorns at cars, playing tennis and soccer and, notably, perfecting their juggling skills with items like dulled knives and lit torches. Ring went on to attend Syracuse University in New York, where he majored in advertising. He said he considered studying journalism and would have been a "great sportswriter making millions of dollars," but instead went down the advertising route. His first job was at Ogilvy & Mather, a prestigious New York City firm. He said that it wasn't the best experience, and that the firm would "take anyone off the street" for the low-level position. In 1994, Ring left the firm and started work at a boutique agency. From there, he worked with a client who sold ads to Yahoo! Ring befriended their ad scheduler (Yahoo! co-founder, Jerry Yang) and was hired soon after. At 25, he was offered the opportunity to open a New York office for the company. It was "like a dream," he said. While an employee of Yahoo, Ring enjoyed a life in the circle of tech socialites, taking work trips to places like Monterey, Calif., and throwing lavish hotel parties that prompted "not-so-subtle requests" for the guests to leave. "When literally hundreds of young millionaires … all coalesce at the same spot with no supervision, the results are not good," Ring wrote in his book. He said he enjoyed the leverage he had behind the Yahoo! name and the quick success that came with working for a rising young company. In 2001, Ring left Yahoo! for an opportunity in Florida. The company was "clearly coming to an end," he said, and he was tired from traveling the world for work. He joined Convizion, a Fort Lauderdale-based digital rights company as CEO but soon after branched off to start Collegiate Images, a licensing rights agency that manages archived film. His first few years in South Florida were filled with experiences akin to that of a crime thriller, not an advertising career. Two years after he left Yahoo! Ring was approached by a man who said he was part of a New York crime family, Ring wrote in his memoir. The man used an alias and demanded $4 million in reparations for when Yahoo! shares dropped dramatically and he lost millions in investments. He threatened Ring's life and the lives of his family, Ring wrote. It was later found out that the man had written a script where a character to be played by Al Pacino kidnaps an internet millionaire named Jeremy Ring (to be played by Dustin Hoffman) and holds him hostage. Ring wrote that the man had planned all along to execute the kidnapping and sell the script "based on a true story" to a Hollywood producer. Ring went on to continue work in start-ups, while creating technology programs at the University of Florida, launching tech companies (over 50 since 2012) and maintaining a venture capital fund. When he came to Florida, he wasn't thinking politics at all, he said. And after the extortion trauma, he planned to stay safely in his job at Collegiate Images. "I wasn't even a voter," Ring said. He said he considered running for office when former Congressman Robert Wexler asked if he would involve himself with former U.S. Senator Joe Lieberman's campaign for president in 2004. In 2003, Ring went to Washington, D.C., for a dinner with minority leader Nancy Pelosi, who then asked if he would run against late Congressman Clay Shaw. He was talked out of it, because he didn't want to run against Shaw, who was "an institution at the time," he said. Ring originally wanted to run for CFO, but did not meet the residency requirement of seven years. When he ran for Senate, he had never been to Tallahassee. "I couldn't name a single legislator," he said. "But I wanted to run to create an innovation economy. That was the message, and it took off." While in the Senate, he was chair of the Oversight Committee. He often had his hands on pension reform bills, and said if the CFO had a hand in a bill, it was run through his committee. While on the committee, Ring worked closely with Matt Puckett, director and chief lobbyist for the Florida Police Benevolent Association. Puckett said that Ring opened the door to law enforcement and listened to their concerns. 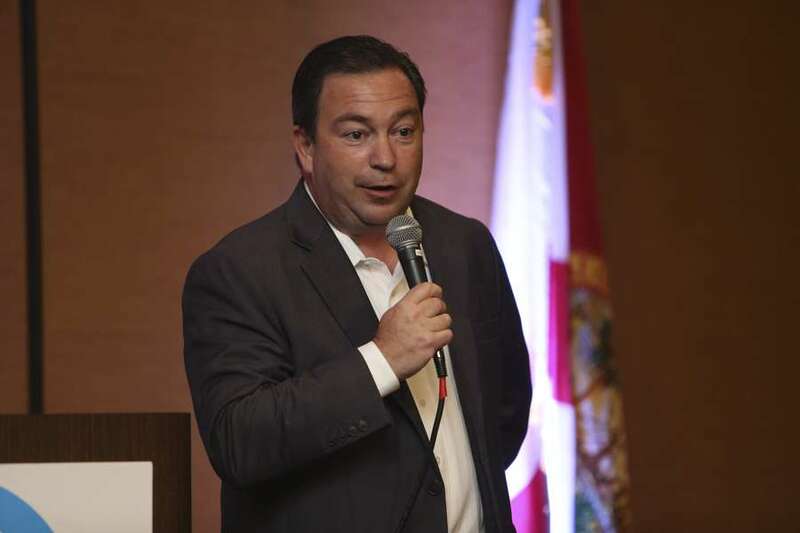 In Ring's time as a senator, he worked with the PBA as well as the Florida Professional Firefighters to negotiate municipal pensions and fix anomalies in the plans that were causing funding issues. "Pensions are a political minefield," Puckett said. "But he sat down and had some really uncomfortable conversations and stayed focused. He convinced some reluctant parties to work through a complicated issue." Puckett said as a chairman, Ring put his stamp on where the committee stands today. He said Ring was always a devout supporter of law enforcement and first responders, a group he would be overseeing as state fire marshal if he wins the seat. Ring also passed legislation that fixed glitches in line-of-duty death benefits so the survivors of first responders were paid correctly. "Jeremy took the bull by the horns and got that legislation changed," said Douglas Watler, the vice president of the Florida Professional Firefighters in Broward County. "It doesn't matter what the subject is. Jeremy is not going to play any games." During his tenure, he passed bills that required newborns to be checked for chronic heart illnesses and sponsored legislation that moved Florida's presidential primary to early February in 2008. He proposed computer programming be included as a foreign language option for high school students and authored legislation to make crimes against the homeless a state hate crime. His family has even taken a habit of volunteering at homeless shelters and soup kitchens around the holidays. In his book, however, he described the homeless population of New York in a lesser way. "Homeless people throw their unsanitized and disgusting hands in our faces asking for change." he wrote. His fianceé, Brickell-based immigration attorney Rachel Friedland, said he's changed since his New York days. "Moving to Florida and having children and being in the Senate changed him a lot," she said. "Having four kids and opening his heart — I've never met a more generous person. Age and maturity added to that." Friedland, a widow who also has four children, said she didn't realize her children wanted a father again until they "clung to Jeremy." "I would have never let him into my kids' lives until I knew he was serious," she said. "He doesn't waver on decisions." Friedland and Ring met in September 2017, after her son and his daughter became friends at camp. When Hurricane Irma hit, she took her entire family from their Aventura home to his place in Parkland, which was not in an evacuation zone. They were stuck in his home without power for two days. "That was the beginning and the end," she said. "We never left." Friedland joked that when they first met, he asked her if she was into politics. "I said no," she laughed. "But I am supporting him. I am behind him." The couple got engaged on April 1st, and since then she has thought about taking time off to campaign. She donated $18 to Ring's campaign in September, a number signifying the letter "חַי," a Hebrew good-luck sign. Ring and Friedland are Jewish. In 2012, the Sun-Sentinel reported that Ring briefly dated former Broward School Board Member Jennifer Gottlieb. Ring and his ex-wife, Sharon, separated in 2011 and were divorced in 2016. Their children split their time between both households. So far, the campaign has focused largely on Ring's promises to prioritize Florida's retirement system and insurance rates while "growing the innovation economy." The campaign has also spent time responding to competition with Patronis. The two candidates have been at odds since earlier this summer, when an FDLE investigation found that Patronis' driving records were accessed by a researcher hired by Democrats. State investigators found that the researcher did access confidential information but that the actions were not illegal. Patronis' campaign pointed a finger at Ring for the breach. Then in June, Politico reported that Patronis crashed a state-issued car on his way to his political consultant's office last year. 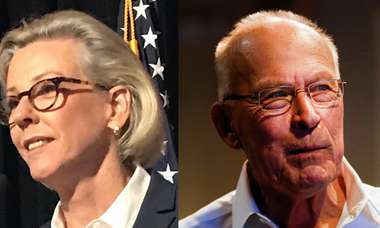 Ring's campaign has pointed it out in various campaign emails. In late September, Patronis launched "RingsCriminalRing.com" as part of his $500,000 digital advertising campaign. The homepage of the website says Jeremy Ring is "keeping company with criminals." The Ring campaign retorted with a similar website, "JimmyPatronis.info." Both websites used questionable campaign contributions from people with unsubstantiated run-ins with the law to sling mud at one another. Ring said in an interview with the Times/Herald that he believes Patronis is unqualified for the job, and is only the CFO because of his friendship with Gov. Rick Scott. Patronis was appointed to the role of CFO by Scott after Jeff Atwater resigned from the office in 2017. Because Atwater's term technically ends this year, it creates a rare open seat for the office. He said the logic behind hiring Patronis "is absurd in everything I've been taught as an adult." "The Miami Herald wouldn't even hire him in their financial department," he said. "He's chief financial officer. That's the problem I have." ▪ Insurance rates: The governor and the CFO are tasked with hiring the insurance commissioner, on whom they must agree. The CFO also regulates insurance agents, not the industry. Ring says he wants to put risk back into the market in an effort to lower rates. "There is a massive challenge in the state of Florida with 1,100 miles of coastline," he said. "I believe we can create an environment where insurance prices are not spiking." ▪ Retirement: The CFO serves as a trustee of the state retirement fund. Ring says he wants to protect retirement from a legislature that is "constantly trying to compromise it." "These people are unqualified and have never held a financial job in their life," he said. "We need to protect the retirement system from the legislature, and I have ways to do it. I hope I can bring it to the court." Ring says part of his plan to help retirees is to encourage science and technology innovation programs to grow at local schools. He says retirees are "tired of their grandkids leaving the state of Florida." "Their grandkids should go to the University of Florida and not have to go to California or Texas or Chicago or Massachusetts — they can come here," he said. ▪ Amendment 4: The cabinet-level position of CFO serves on the clemency board and has a vote on whether or not to restore civil rights to convicted felons. Amendment 4, which would restore voting rights to all nonviolent felons, will appear on the ballot in November. Ring says he supports Amendment 4, and called the state's current situation a "civil rights issue." "If Rick Scott felt that 1.5 million nonviolent ex-felons would vote Republican, he would have had their rights restored years ago," he said. "I believe it's nothing more than a voter suppression issue." He then referred to his opponent, who once asked a man during a clemency hearing how many children he had and what church he attends. "What does that have to do with anything?" he said. "Whether Amendment 4 passes or not, if I get on the clemency board it might as well have passed." Political: Democrat, former state senator representing northern Broward County. Professional: Ring got his start in the advertising industry, where he eventually was picked up by Yahoo! After he left the company in 2001, he moved to Fort Lauderdale to work for a start-up agency. He founded an anti-bullying program in South Florida, which led him to take interest in running for office in 2006. Education: Ring attended local schools in Canton, Mass., an affluent Boston suburb where he grew up. He received his bachelor's degree in advertising from Syracuse University. Family: Ring was born and raised in Massachusetts, and moved to Florida in 2001. He divorced in 2016 and is now engaged to Rachel Friedland. He lives in Parkland and has four children: Elijah, Levi, Eliana and Golit. Correction: Jeremy Ring's fianceé is Brickell-based immigration attorney Rachel Friedland. An earlier version of this story misspelled her name.